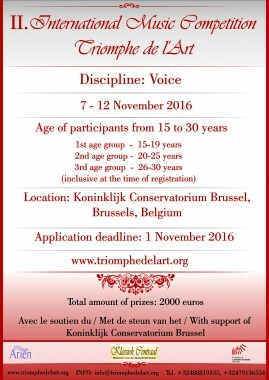 Application to the 2nd International Music Competition “Triomphe de l’Art” in discipline “Voice” is open! The deadline is 1st November 2016. 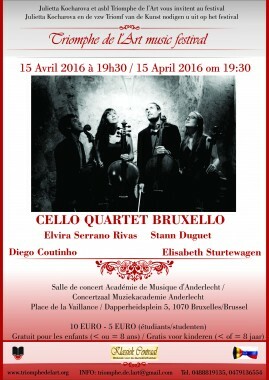 Triomphe de l’Art Music Festival is delighted to invite you to the concert of BRUXELLO Quartet. 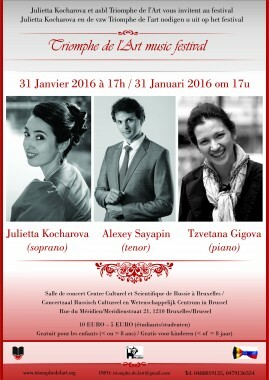 It is composed of four young and dynamic cellists of 4 different origins for an eclectic repertoire of their image. 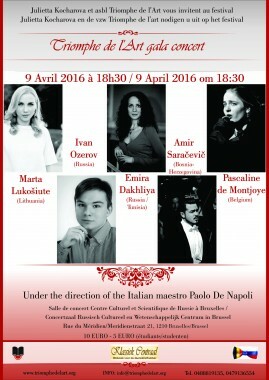 Diego Amaral Coutinho comes from Brazil, Sturtewagen Elisabeth from Belgium, Elvira Rivas Serrano from Spain and Stann Duguet from France. 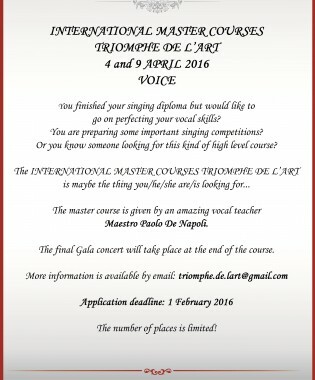 INTERNATIONAL VOCAL MASTER COURSES “TRIOMPHE DE L’ART” between 4 and 9 APRIL 2016.
virtuoso pianist from the Brussels Conservatoire, Tzvetana Gigova.